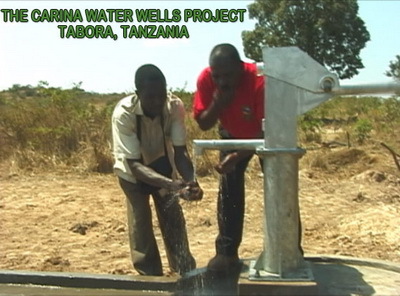 The first Carina Water Well was installed at Inonwela Village Tabora District in February 2005. The majority of villages in the district do not have a clean water source. 50% of malnutrition is associated with diarrhea and worm infections as a result of drinking unsafe water, inadequate sanitation and insufficient hygiene. It is the second leading cause of death among children. Women and children get up at dawn and walk up to 5 kilometers daily to find water which is dirty & contaminated. Fighting often occurs between women at the water source, it takes a good part of the day to collect it and return home. Water collection has traditionally been women/girls work, due to this girls frequently miss school, thereby perpetuating the cycle of poverty and early marriages. In addition to the construction of wells/rainwater harvesting tanks Carina Water Wells Projects also teaches a class to the village water committees in water/sanitation/health/hygiene. Wells- The villagers dig a hole and a hand pump is installed supplying fresh water which helps minimize diseases. The recommended use is for 250 people, 800 use it. Latrines are also constructed to encourage people in the use of safer sanitation methods. The villagers who are subsistence farmers contribute $1.00 out of their meager $10.00 average annual earnings towards the outhouses. This goes towards the concrete and wire mesh needed to build the bases for the latrines. *The Carina Water Well Project is dedicated in memory of my daughter Carina Chantal Owen Madsen who was born in Tabora December 19th 1964 and died unexpectedly on August 4th 2004 in Denmark where she lived with her husband. 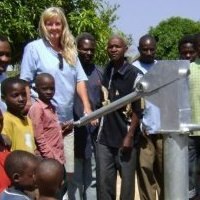 A 5 minute video of the Carina Water Wells Project Tabora Tanzania placed 3rd (sustainability category) in an on line international film contest ViewChange.org sponsored by the Bill & Melinda Gates Foundation. Dr. Livingstone the famous British explorer, who went in search for the source of the river Nile, spent several months in Tabora during the 1850’s. He exposed the atrocities of slavery writing passionate letters to his friends and colleagues, some of which took many years to reach their destination. An Arab trader, afraid his involvement in the slave trade would be exposed, vacated his home at Kwihala village and Livingstone took up temporary residence. Now it is a museum with copies of his letters, photos, and maps. It is also the location where Livingstone said goodbye to the American reporter Stanley who had been sent out from the New York Post to find him. My father also filmed the museum in 1960 it remains almost the same, and depends on donations from visitors who pass through. 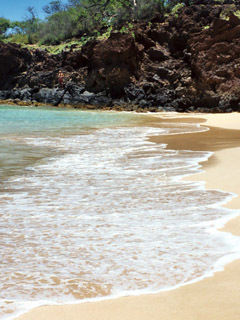 However, without wildlife parks nearby or beaches to attract tourists it remains little known. The Carina Water Well Projects at Kwihala Village are within walking distance of the museum. On January 5th 2005 I traveled to Tabora again. Christopher Nyamwanji (former Development Officer at the Anglican Diocese of Tabora) and I drove to Inonwela village for a presentation of the water program and a meeting with the village elders. This was followed by an introduction to me explaining the reason for my visit. I showed them two photos of Carina and I when she was a newborn in Tabora. A group of women put on an “ngoma”, which is traditional dancing, drumming, singing, and whistle blowing! We ate lunch at the village school it was served by the women who didn’t eat with us, which is the custom in patriarchal societies. First they demonstrated their newly acquired hygiene methods, offering us a jug of water with soap for hand washing over a bowl. The meal consisted of very tough chicken with rice, and supplied us with plates and spoons to eat with which was a luxury! The village elders ate only rice with their hands from a big communal plate. The first Carina Water Well was installed at Inonelwa village in February 2005, the villagers were all very grateful for the opportunity to have a 2nd water pump in their village of 2,000 people. The majority of villages in the district do not have any water. Women and children get up at dawn and walk up to 5 kilometers daily in search of it, which takes up half of their day. The women get into fights over water and children especially the girls, often don’t make it to school thus perpetuating the cycle of poverty. Without water there is no life. A very commendable project which would have impacted so many lives. I don’t know if people realise the struggle that people have in Africa to collect water on a daily basis. How precious water is I think only becomes a reality when you live in Africa. Each morning starts with turning on a tap with hope in your heart. Most of the time it’s just disappointment but when water trickles out, plans are already made to fill as many containers as possible for water storage. We still live with plastic canisters of bore hole water in our bathrooms for when the pipes run dry again – it can at least be used to flush toilets along with washing up water. Fresh water is also put into containers, when available, and then used very carefully. It is hard to imagine living with a constant flow of clean water and power supply to your residence… but we live in hope.